TIME: Noon - 3:30 P.M.
Tickets include 3 taco tokens. Additional tokens are available for $3. You must have a taco ticket in order to receive a taco from a competitor! A cash bar with beer and margaritas will be available to cool down. Sister's Snowballs will also have specialty Margarita, Watermelon Mint, and Tres Leches snowballs available for purchase. Expect to taste tacos from local favorites Fuego, Roosters, Nourish Cafe, Von's Bistro, Rock 'N Roll Sushi, Taco Mama, La Cocina, and P.S. Taco Company! We will also have live music by Yeah, Probably. 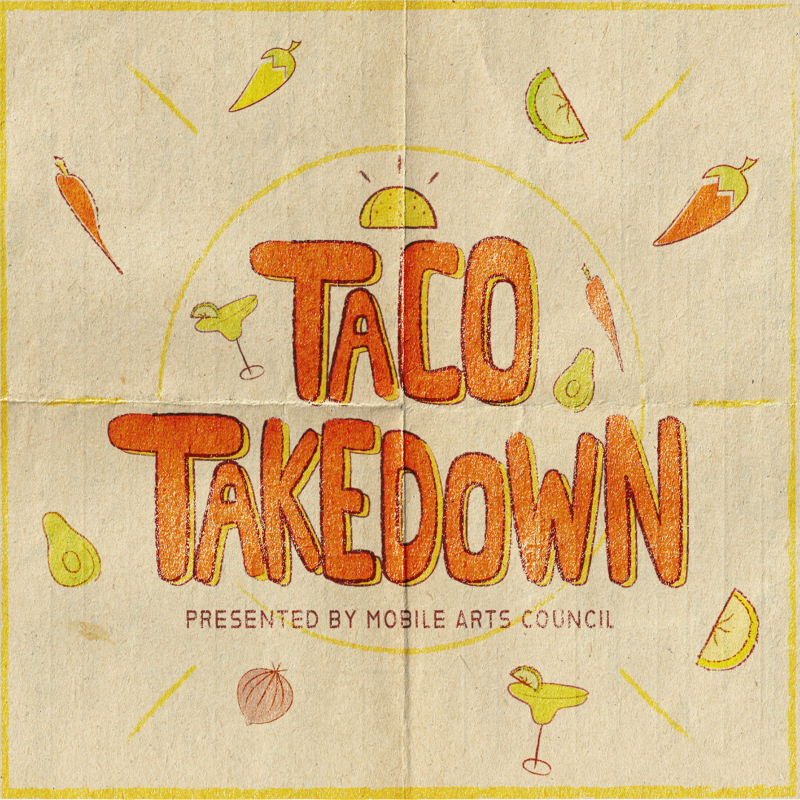 We couldn't make Mobile's first taco competition happen without the support from our media partner, Mighty, and community partner, Hargrove Engineers + Constructors and The Hargrove Foundation! We also want to thank T.S. Wall & Sons, Inc., the Law Office of John M. Teague, P.C., Container Yard, and DS Services for their sponsorship. Funds raised from this delicious event will go towards re-launching our artist grant program.